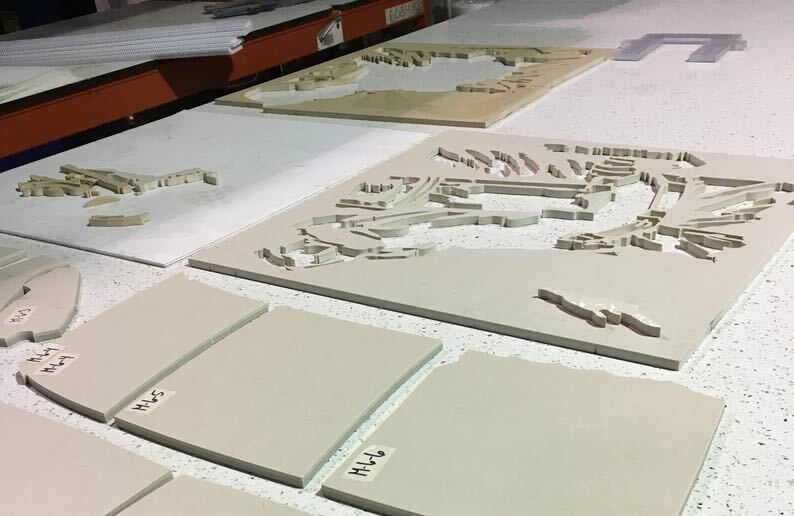 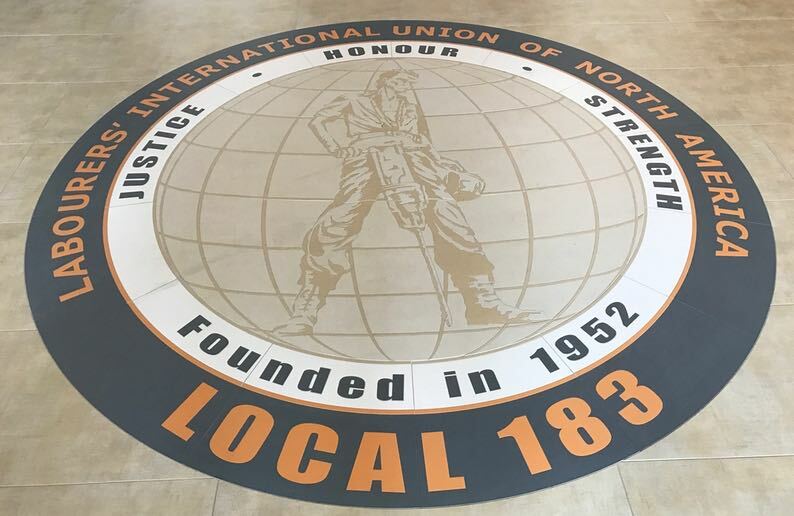 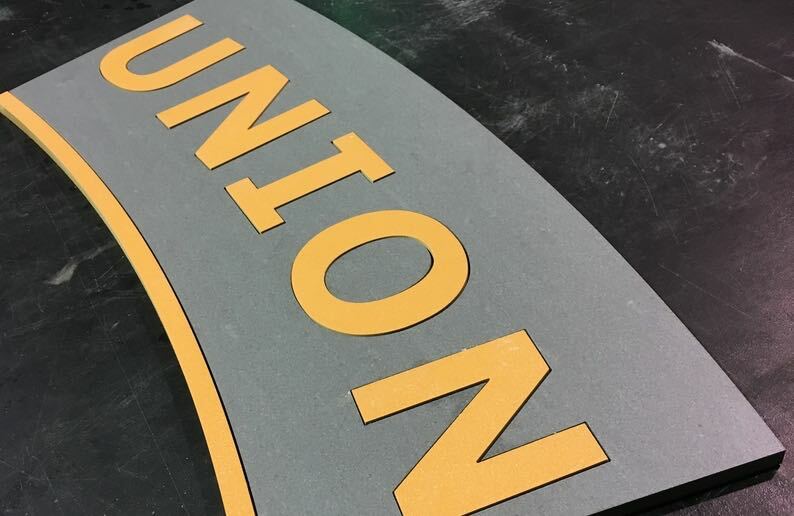 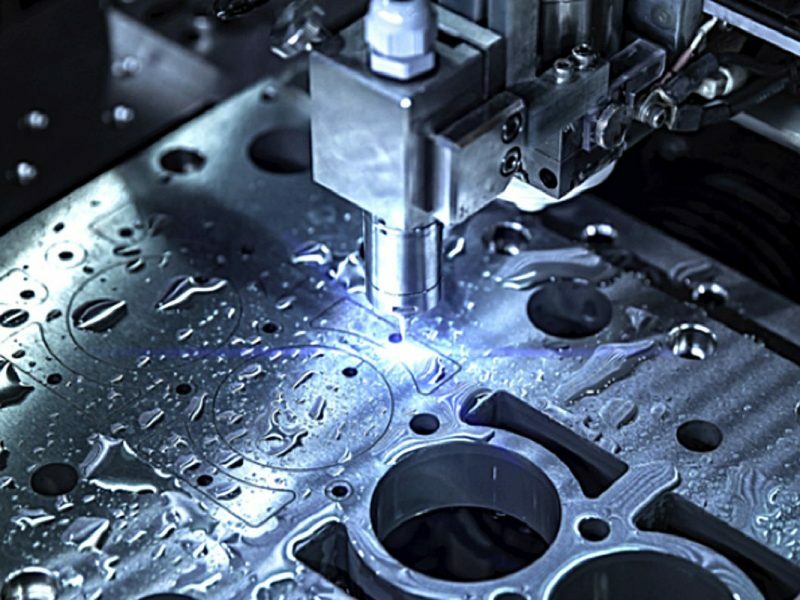 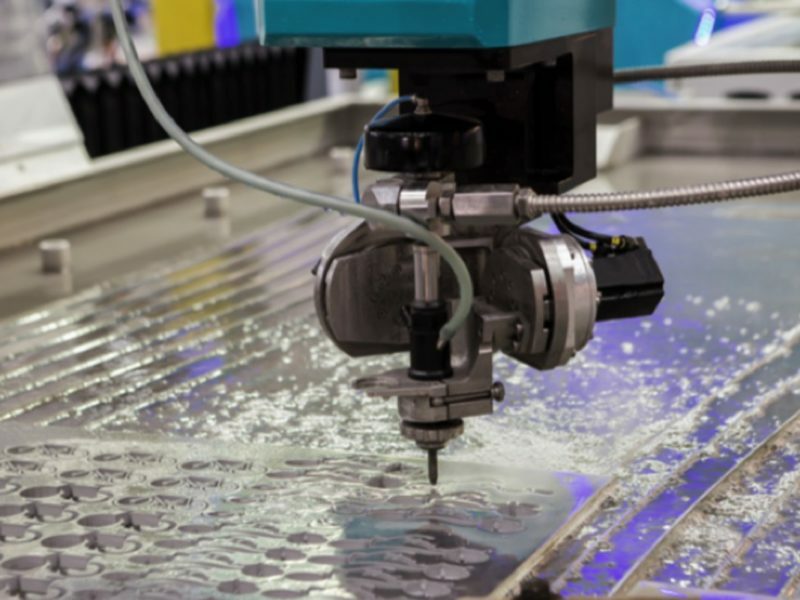 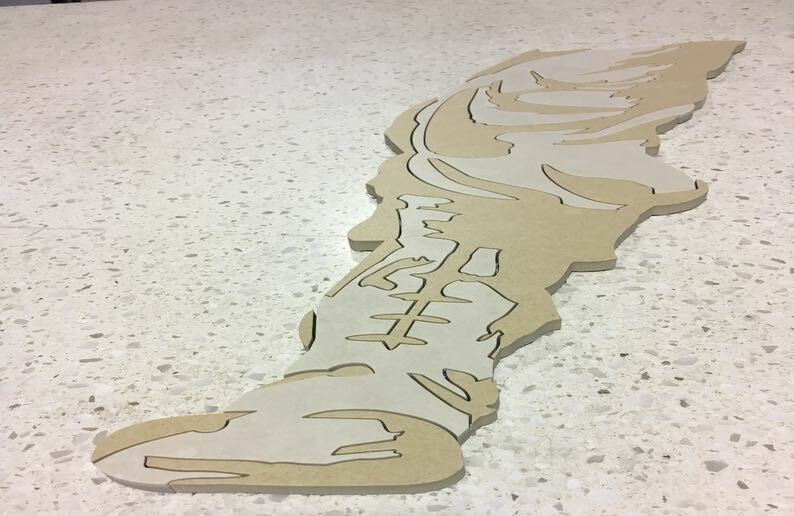 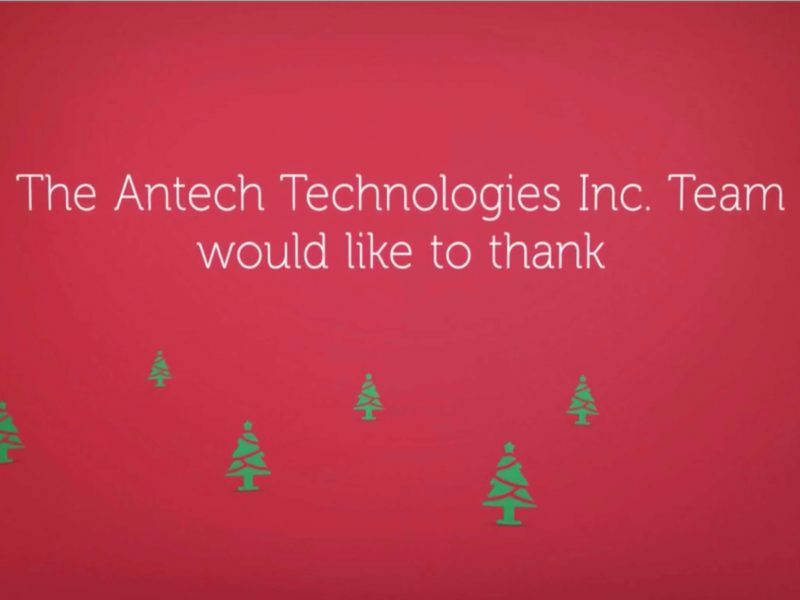 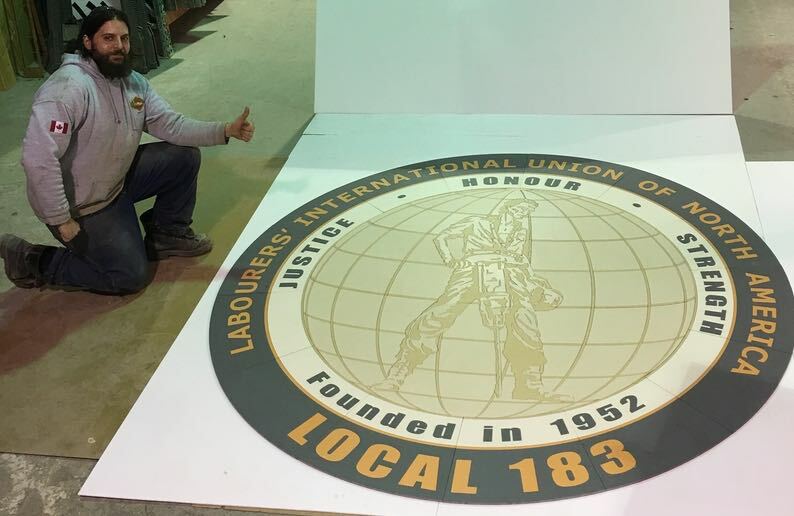 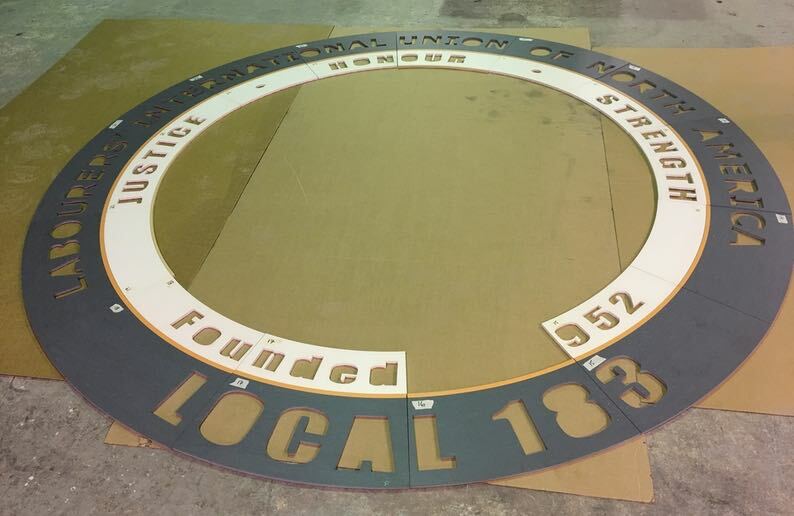 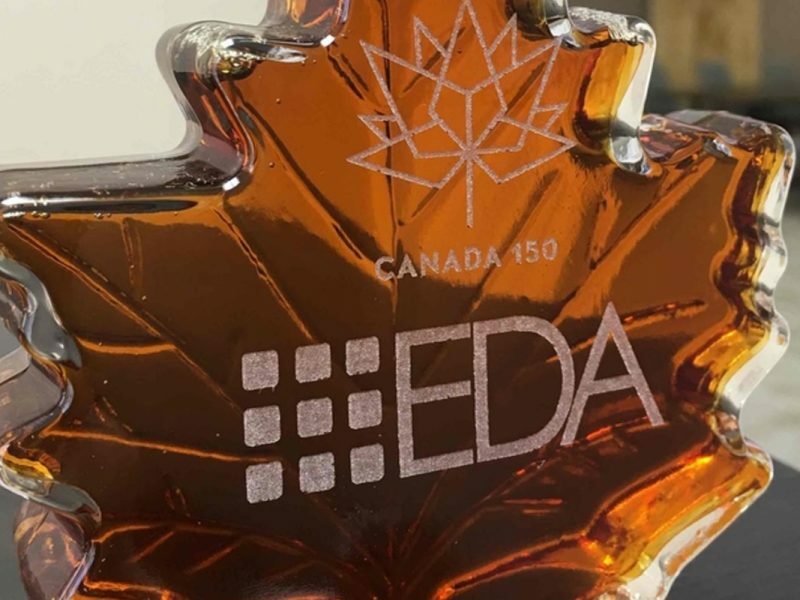 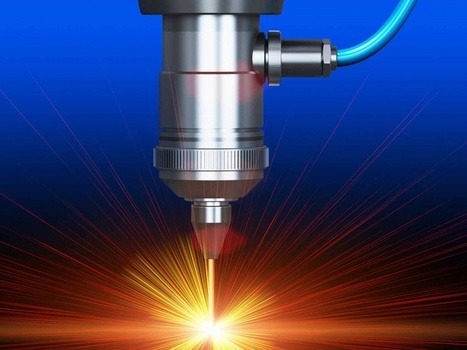 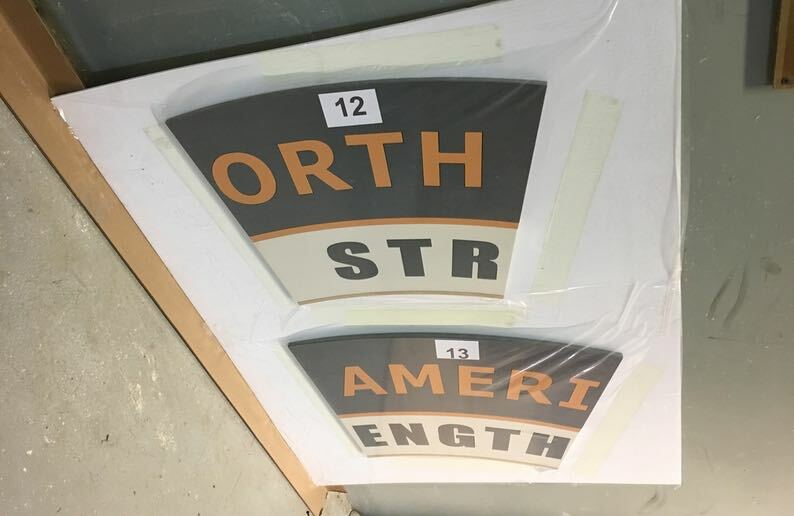 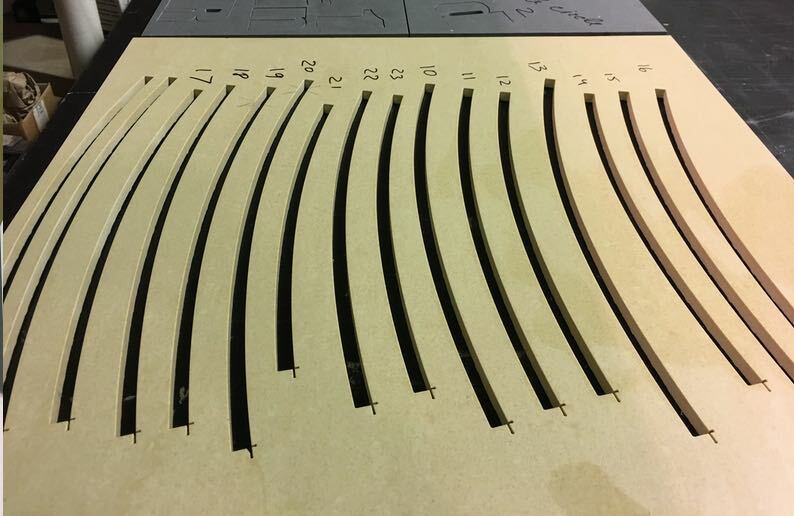 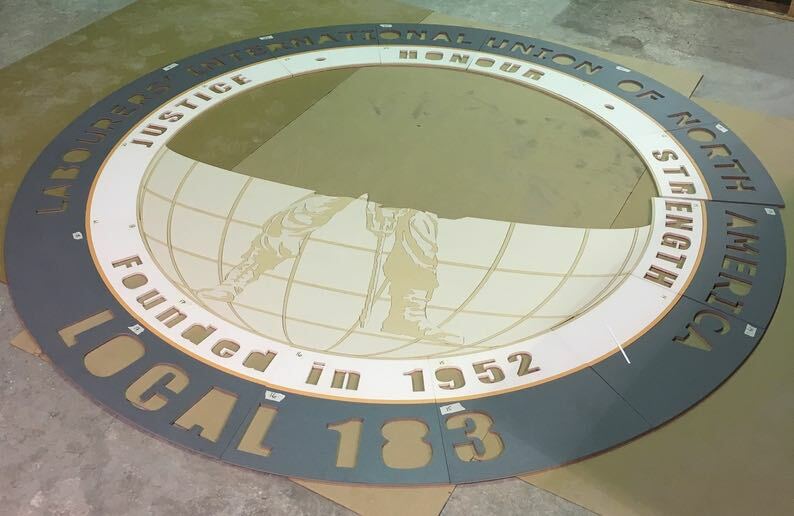 Waterjet Cutting Project Spotlight: LIUNA Local 183 | Antech Technologies Inc. 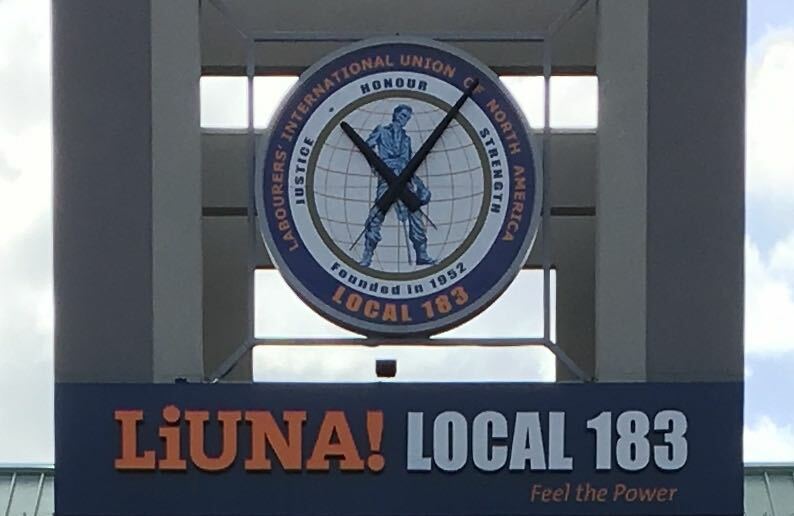 Welcome visitors to the LIUNA Local 183 conference and meeting venue while making a visual statement. 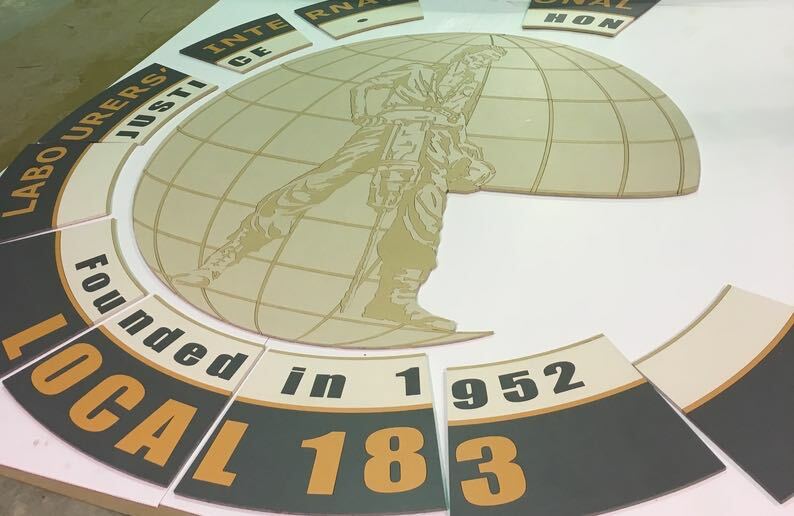 Achieve this with an end product that is both detailed, able to withstand heavy foot traffic and is produced and installed with a 2 week turn around time, in time to be showcased at an upcoming event. 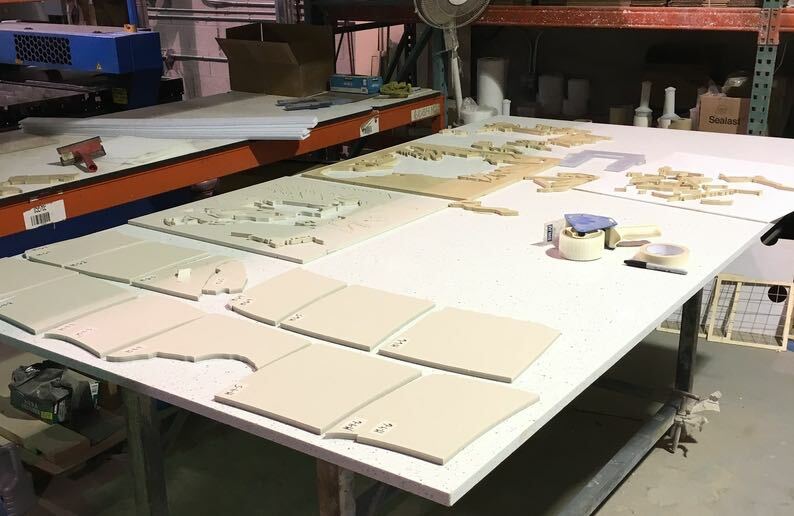 Taking into consideration the available space while also ensuring the layout and nesting of the design into tiles was done in the most aesthetic and visually impactful way; a final floor medallion design was created and approved by the client. 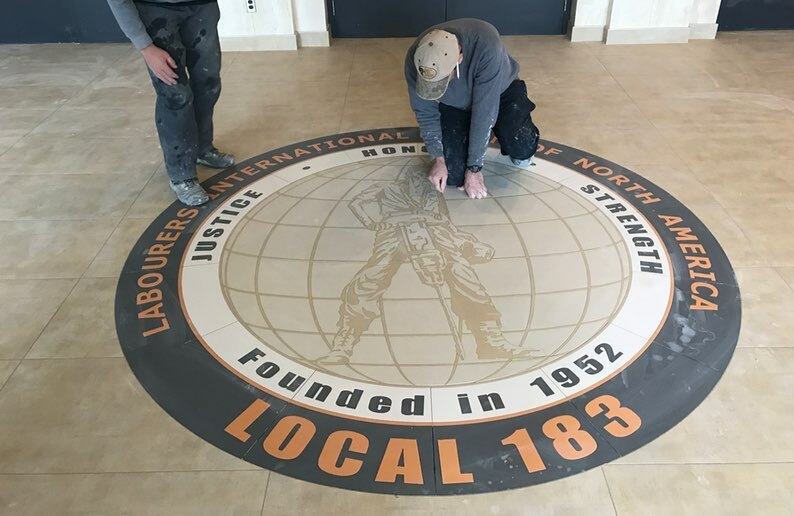 Along with a detailed installation diagram, the final product was delivered and installed by the client’s contractors on time and on budget.